You don’t want to miss this gorgeous 5 bedroom, 3 bathroom home. The home has a full basement with a HUGE living area, bar (with fridge/sink/cabinets) 2 large bedrooms, Large walk in closets in every room, and 2 fireplaces. The downstairs is perfect for mother in law suite or separate living quarters from the rest of the home! Upstairs is bright open/spacious floorplan with a large family room. Granite tops, Low-E, dual-pane, tinted windows with a lifetime warranty. Wood style tile flooring, plush neutral carpet and another beautiful fire place. The master bathroom suite upstairs is amazing. Dual sinks, extra deep tub and separate tiled shower. Backyard has plush green grass, covered patio, sitting area and a growing garden. RV Gate/parking. Approximate size: 7600.00 sq. ft. Please, send me more information on this property: MLS# 5909220 – $375,000 – 6728 W Piute Avenue, Glendale, AZ 85308. 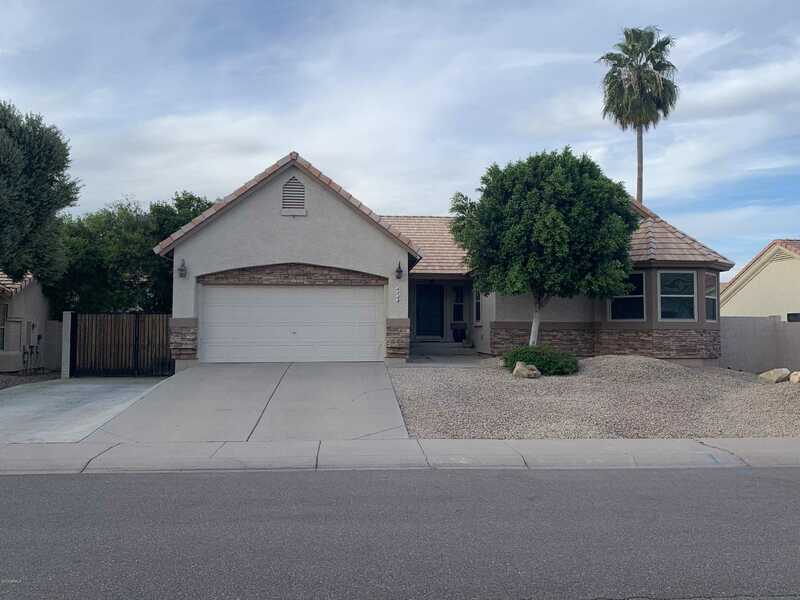 I would like to schedule a showing appointment for this property: MLS# 5909220 – $375,000 – 6728 W Piute Avenue, Glendale, AZ 85308.